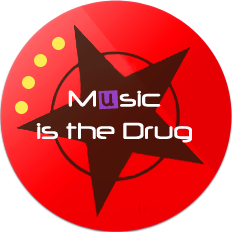 Music Is The Drug, is a 2-hour radio podcast show, consisting of Corey Biggs and guest. Past guest have included. Stefko Kruse, Laylae, 711, Valentina Black, Eli Escobar, The White Brothers,Rui Da Silva, Sonic Future, Teenage Mutants, Orkhan Ronfoller,Reblok, Paris Haze, Mr. Bizz, Andres Gil, Dosem, Filterheadz, Tomy Declerque, Spartaque, Happy Gutenberg, D Unity, Thorsten Hammer,Jorge Jaramillo, Nikolai Marti,Alessio Collina,Kaiser Souzai, Dave Rosario, Gabriel Ben, Tom Novy, Paul Begge, Marco Bailey, Adrian Hour. Leon ,Letkolben, Dave Rosario, Joseph Disco, Paul Begge, Raytek, Positive Merge ,Boot Slap , Sebastian Groth,Luigi Rocca, John Lagora JC Laurent, Chris Gavin, Takuya Kashiwada , Ryota , Mr. Clean, Sonic Future, Reset Robot, Ben Hoo, M.A.N.D.Y., Federico Scavo, Axel Karakasis, Phil da Cunha, Raytek,Yaya Desolat, Jewel Kid, Simone Tavazzi, Sasha Carassi, Tony Dee, Noir, Luis Junior, Coqui Selection, Mihilas Safras, Timo Maas, Chico Abreu, DJ JD, Rosario Galati, Lowkilla Nino Bellemo, and many more. always be, in him we live and move in being. If is not him that creates the music, it is the master that does within, creating his whole, perfect, loving, powerful, happy and harmonious sound to all in all to Enjoy Forever!